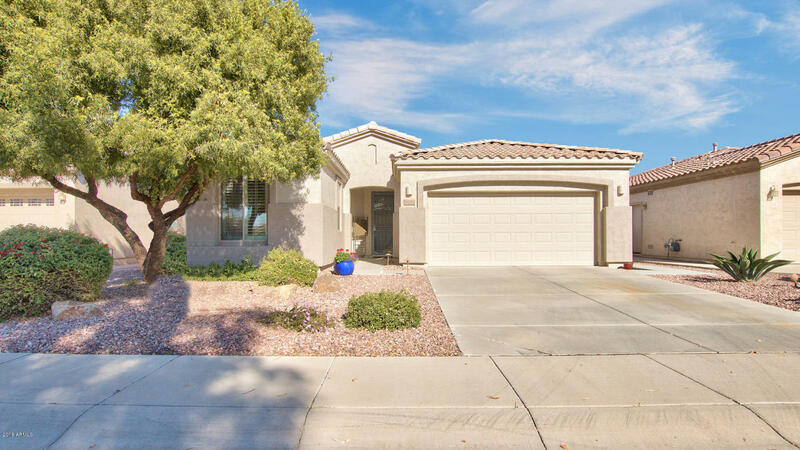 Absolutely beautiful and move in ready home in sunny AZ in the guarded, gated, golf course community of Trilogy Power Ranch. This Morning Star floor plan offers a split & open layout with 2 bedrooms + a den. Many upgrades in the home include tile throughout the main living areas, shutters, ceiling fans, front door screen, and much more. Spacious kitchen includes stainless steel appliances, granite tile counter tops, pantry and is open to the family room. The back patio is ideal for Arizona's outdoor living including paver patio, built in BBQ & refrigerator, brackets just waiting for you to install your TV and extended paver patio. This is a beautiful home!